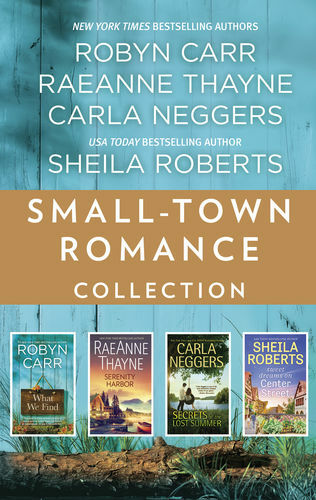 Four New York Times bestselling authors bring the best of their beloved small town romance series in this new Small-Town Romance Collection! 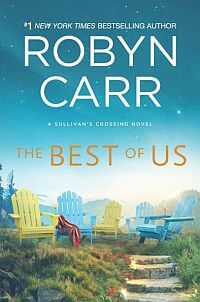 Under extreme pressure, neurosurgeon Maggie Sullivan knows she needs to slow down before she burns out completely, and the best place she can do that is Sullivan’s Crossing. But Maggie’s world is rocked and she must now take responsibility for the land that’s been in her family for generations. When a quiet and serious-looking hiker, Cal Jones, offers to lend a hand, Maggie is suspicious of his motives—until she finds out the true reason for his deliberate isolation. The time Cal and Maggie spend together gives Maggie hope for something brighter just on the horizon…if only they can learn to find peace and healing—and perhaps love—with each other.